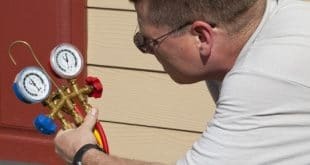 Home / HVAC Technician / What Does An HVAC Technician Do? Heating, air conditioning, and refrigeration mechanic and an installer are often referred to as HVAC technicians for short. Their primary job is to work the cooling, heating, refrigeration, and ventilation systems in commercial buildings. This system will ultimately be used for the air quality and climate control in these commercial and residential buildings. HVAC technicians find themselves on the road driving a lot to get to the different work sites they get assigned to. An HVAC Technician has to have excellent oral and written communication skills. HVAC Technicians must be able to follow blueprints and precise design specifications to install the new systems in the buildings. One of the main things they are responsible for is connecting the newly installed systems to the fuel and water supply lines and air ducts as they complete the job. They can also install electrical wiring or controls. Once it is installed, they will have to test that it works correctly. 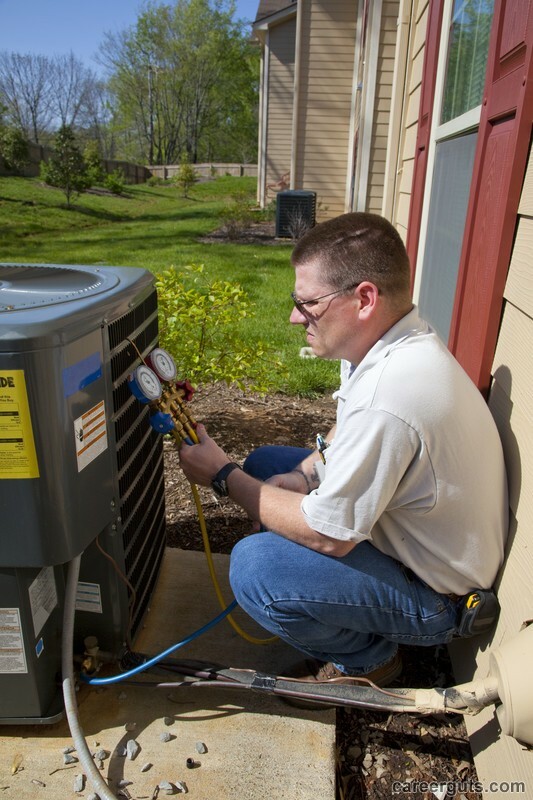 HVAC technicians inspect and maintain their client’s HVAC systems, and they will methodically check each component of the system to determine which part is causing the issues and needs to be repaired or replaced entirely. They also undergo training to repair worn out parts if they don’t need to be replaced. An HVAC technician can typically be found working in a broad range of buildings including factories, hospitals, office buildings, residential homes, and schools. The work sites usually aren’t temperature controlled when the technician is working so they can experience either very hot or frigid working conditions. If you’re claustrophobic, this isn’t the job for you because HVAC technicians can find themselves working in very cramped conditions and small spaces. This is done so they can reach the system that needs to be checked or have routine maintenance done. HVAC Technicians have a variety of tools of the trade. However, they all use a core set of instruments, but there are specialized tools as well that they’ll eventually need. The tools that make up that core set that every technician should have are pipe cutters, screwdrivers, small hand tools, tape measures, and pipe cutters. Once they get to a job location, they may need more specific tools like an acetylene torch, carbon monoxide detector, and a combustion analyzer. How do You Become an HVAC Technician? There are a few steps involved in obtaining your certification and becoming an HVAC Technician. The first thing you have to do is to get your high school diploma or your GED. If you can take math, science, and shop classes while you’re still in school, take them. These courses will give you a strong foundation to build your career on later. The second step is either find and apply for a formal apprentice program or take classes at a trade or a technical college. You can also opt for on the job training, and this is valuable because you are paid while you learn skills you’ll use throughout your career. This training ranges anywhere from 3 to 5 years depending on how quickly you learn and feel comfortable doing it on your own. However, it is good to note that there is a growing demand for certified technicians, and this training can take anywhere from few months to a year. The certification training cost ranges between $700 to $900 depending on the classes you take and school you to choose to attend. The third step is to get your HVAC technician license. This license requirement is primarily dependant on which state you currently reside in or the state you plan to the majority of your work in. It is a requirement in some states that you pass the state’s exam and become licensed, and some states don’t require a license at all. The final step in your career path is to get your EPA Certification. If you plan to work with anything to do with refrigerant, the EPA (U.S. Environmental Protection Agency) requires each technician to get a certification, and you get this by setting up and passing a written exam. 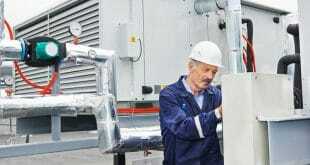 HVAC Technicians are currently very in demand, and this demand is only expected to increase. As of writing this article, 42 of the 50 states are experiencing average or above-average demand for HVAC technicians. The United States Bureau of Labor Statistics predicts the demand for HVAC technicians is going to rise to 21 percent by the year 2022. The average salary for an HVAC technician starts out at roughly $45,000 a year, and the typical hourly wage starts around $21.00. You will earn more as you gain experience in this field, with more experienced technicians earning over $51,000 per year and the lower end of the salary range is just below $30,000 annually. Next What Training Does it Take to Become an HVAC Technician?